Utah solar panels | guide to solar incentives, costs and savings in UT !! The residential solar sector in Utah has been a surprisingly strong performer during 2016 and this trend looks set to continue during 2017 subject to an adverse ruling by the PUC on net metering. What is surprising is that this strong performance has been achieved despite that fact that Utah has some of the lowest power prices in the nation. This 10.25kW system would offset 100% of your energy usage if your typical monthly bill in Utah is $142, however your situation may vary so try our solar calculator to get a result tailored to you. How much do solar panels cost in Utah now? Who are the best solar companies in Utah? What are the pros and cons of installing solar panels in Utah? Solar tax credits, net metering and other solar incentives in Utah? The advantages of installing solar panels in Utah is there is both state based incentives and the federal tax credit. In addition Utah also has one of the highest levels of solar irradiation in the country meaning solar panels installed on your home in Utah produce more power than in most other parts of the country. The disadvantage of installing solar panelsfor your home in Utah is that power prices are lower in Utah than what they are in most other parts of the country and so this means each kilowatt hour of solar power produced saves you less than in states where power prices are higher. However, the state tax credit and the high solar production from your panels more than make up for this and I think home owners in Utah will be kicking themselves they didn't install solar panels while these generous incentives are around if they miss the boat. 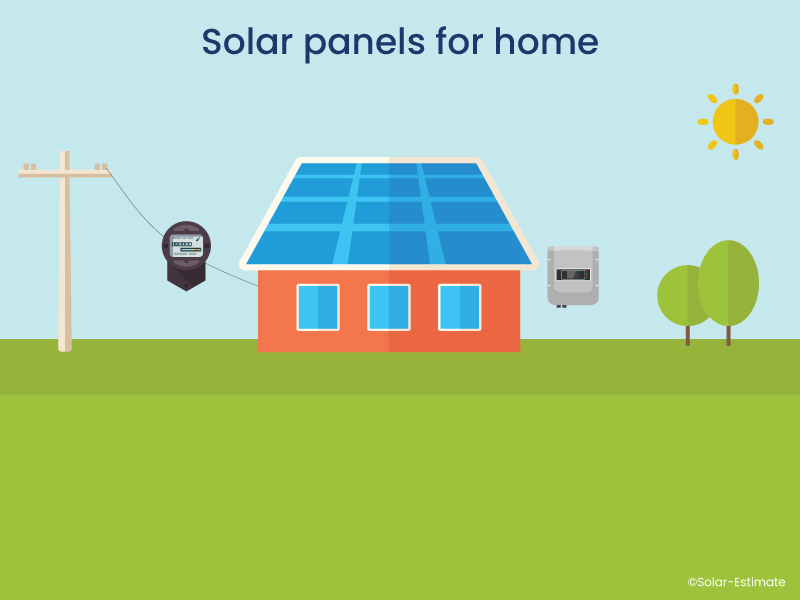 Enter your details to calculate the cost and savings you are likely to get from installing solar panels for your home. What rebates, solar tax credits and other solar incentives are available in Utah? 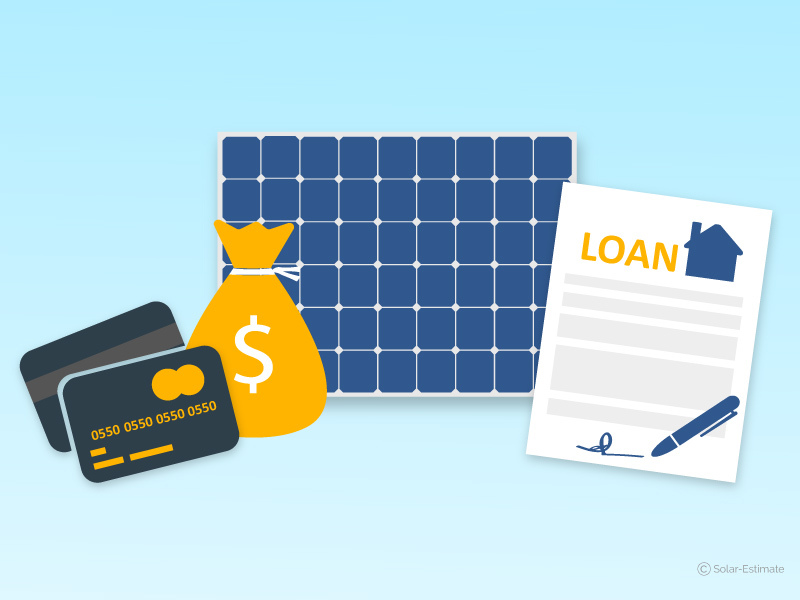 In addition to net metering and the 30% federal solar tax credit you are also entitled to a 25% state solar tax credit, capped at $2,000, when you install solar panels on your home. As with the federal solar tax credit this is a tax credit and so you have to have a state income tax liability to use it but if you do then this further improves the return on investment you get for installing solar panels in Utah. So why is installing solar panels for your home so popular in Utah? The federal 30% solar tax credit (which every state has). Net metering meaning solar customers get a full 1 for 1 credit for kWh (kilowatt hours) of solar power exported to the grid. This is effectively a free battery because it allows you to effectively get the benefit of your solar power whenever you need to consume power not just when the sun is shining and the solar power is being generated. A state tax credit of up to $2,000 which applies in addition to the 30% federal solar tax credit. Utah has great solar irradiation meaning solar panels installed on a south facing roof in Utah will produce more kWh kilowatt hours of power than what the same panels would produce in most other locations around the country. Utah has legislation that supports third party ownership of panels and means solar companies can offer you a zero down lease or PPA, they can take the incentives and just charge you either a fixed monthly lease fee or a fee per kWh of power produced by the solar panels. Net metering is when your utility company is required to separately record what electricity you purchase from the grid and what solar power generated by your solar panels is exported to the grid. Net metering means you are only charged for the net of these two amounts. So , for example if you buy in 500 kWh at night or other times when your solar is producing little from the grid but export 300 kWh over a month then the utility would only bill you for 200 kWh of power in that period. Utah law requires Rocky Mountain Power (RMP), the only investor-owned utility in the state, and almost all electric co-ops to offer net metering for solar panels. Under this policy, net metering is available for residential systems up to 25 kilowatts (kW) in capacity and non-residential systems up to two Megawatt (MW) in capacity. However, only Rocky Mountain Power are required to offer full 1 for 1 net metering and some of the smaller electric co-ops only offer what is known as avoided cost net metering. What this means is that in the case of Rocky Mountain Power they credit you 1 kWh of usage for every 1 kWh of excess solar that you export to the grid. In the case of the smaller co-ops they may credit you only 1 kWh for every 2 kWh that you export to the grid. In November 2016 Rocky Mountain Power company lodged an application with the Utah Public Utility Commission to reduce the amount it credits customers for excess solar generation exported to the grid. 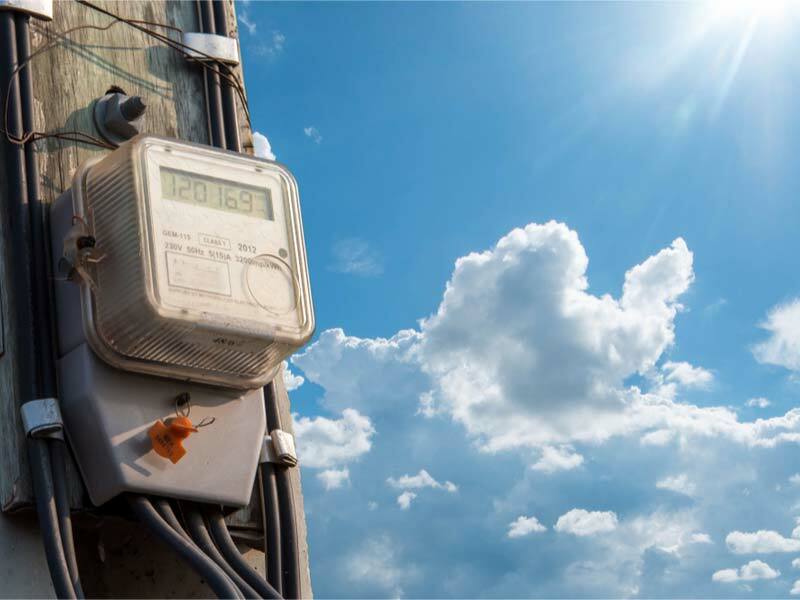 However, they have said this change will not affect existing net metering customers. What this suggests to me is that it is very important that if you are a homeowner in Utah to get your solar panels installed before there is a change in this net metering law. 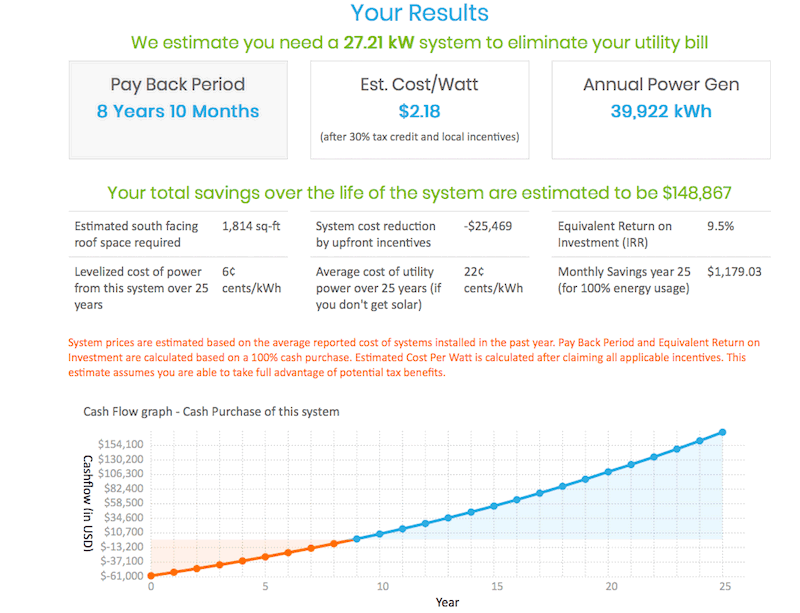 Regardless of what you want to know about the economics of installing solar panels for your home or business in Utah we have a solar calculator that can show you exactly the information your require.